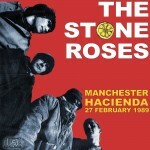 The Stone Roses have a very impressive back catalogue spanning the full range of their career. From the early underground gigs to the final show at Reading. The good, the bad and the ugly – you’ll find it all. My personal favourite is Glasgow Green when the Roses were at the height of their popularity – not the best recording but arguably their best show ever. Read the guide to Unreleased Roses written by Colin Fleming, find out what demos are still unreleased or dive straight into the Complete Bootleg Guide written and compiled by Will Oddell.